Kim Petras Goes Dark For Halloween With 'Turn Off The Light, Vol. 1' The latest release from the young pop singer, known for Barbie doll imagery and bubble-gum sounds, features spookier sonics and a cameo from Elvira. Kim Petras' Halloween mixtape, Turn Off The Light, Vol. 1, is out now. 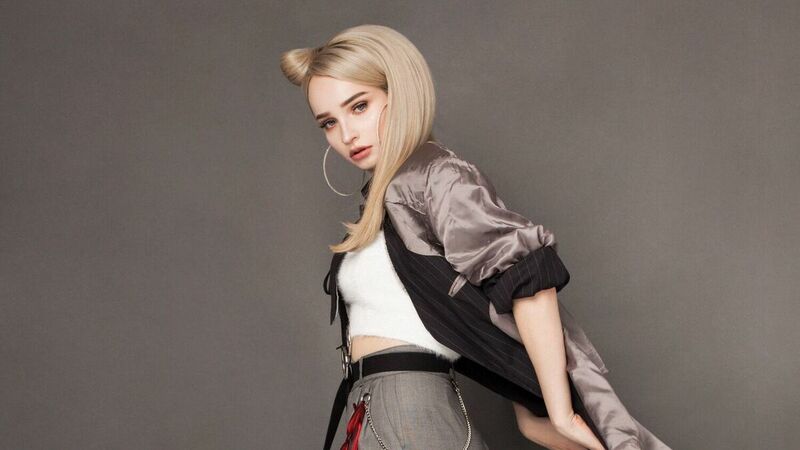 Kim Petras has built a reputation for Barbie doll imagery and bubble-gum pop sounds. So fans started to wonder what was going on when, about a month ago, the pop singer started posting strange images on on social media — creepy, dark self-portraits with dripping blood and blank eyes. When the clock struck midnight on October 1, it all became clear. Petras dropped a surprise Halloween-themed mixtape called Turn Off the Light, Vol.1, featuring spooky sounds, macabre themes and a scene-stealing guest appearance from horror hostess Elvira. A longtime fan of horror movies and Halloween, Petras says she been itching to make a darker kind of pop record for years. "I think they can stand on their own," Petras says of the songs on Turn Off the Light. "That's important to me, as a fan of pop: I wanted them to be songs that you can listen to all year, but that fit into a Halloween-related context." Hear more from her conversation with NPR's Ari Shapiro at the audio link.